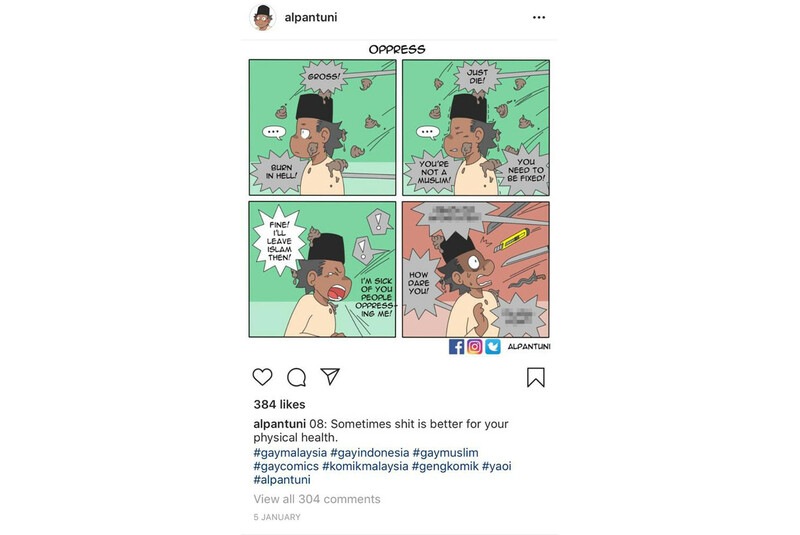 JAKARTA - An Instagram account displaying comic strips depicting the struggles faced by gay Muslim men was removed on Wednesday after authorities labelled it "pornographic" and threatened to block the platform. Indonesia's communications ministry said that Instagram had taken down the account, under the name @Alpantuni, at its request because it was in breach of regulations on content. "There are a number of other reasons why an account may no longer be accessible, including, for example, if the account holder deleted the account, deactivated the account, or changed the account username," an Instagram spokesman told Reuters. Reuters was not able to reach the account holder. The removal of the site comes amid government and public hostility towards the lesbian, gay, bisexual and transgender (LGBT) community in the world's largest Muslim-majority country.